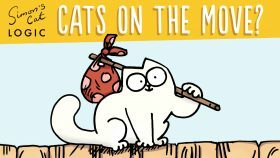 Simon’s Cat Logic – Cats on the Move! Cats on the move! Our latest Cat Logic episode covers how you can make moving house less stressful for you and your cat(s). 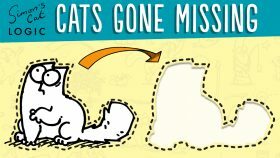 Simon’s Cat Logic – When Your Cat Goes Missing! A cat (or any pet) going missing is an extremely stressful and anxious time. We hope the advice in this film helps people locate their pets quickly and safely! 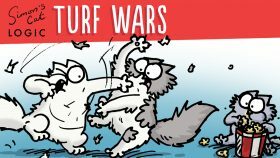 Learn about how your cat defends their territory & what you can do to help vulnerable cats stay safe in this episode featuring Simon’s Cat’s nemesis -Jazz! 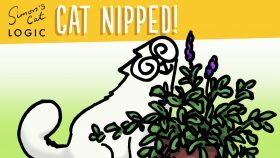 Simon’s Cat Logic – Why do cats go crazy for Catnip? Ever wondered why cats go crazy for catnip? Or does your cat not react to it? Find out why in our latest Cat Logic. 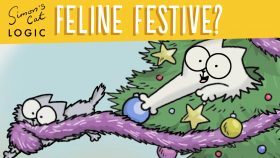 Simon’s Cat Logic – What do cats want for Christmas? Watch our latest Cat Logic episode to find out about seasonal safety and which treats to give your cat during the festive season! 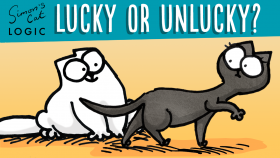 Simon’s Cat Logic – Are Black Cats Unlucky? Cats Protection celebrates Black Cat Day on Friday 27th October. In this special edition of Simon’s Cat Logic Simon introduces his NEW kitten Poppy and Nicky dispels myths about black cats being unlucky. 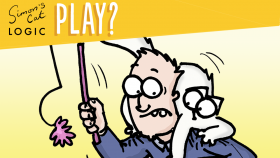 Simon’s Cat Logic – How can I entertain my cat? Do you like playing with your cat, cats or other people’s cats? Would you like to know some interesting information about how cats play? And good ways to play with your cat? Well, watch this video to find out all this and more!